As I write this it’s the Winter Solstice, and thick fog outside. No wonder that winter festivals of light, dancing and music are so popular, and so much a part of rural life in the past. So shake off the gloom and look forward to Wassail 2018! Each year we like to do something a bit different, so for our Tenth Wassail (I know, I can’t believe that but it’s true, this will be the tenth one)…anyway, we are very pleased to be hosting a demonstration of green woodworking skills. 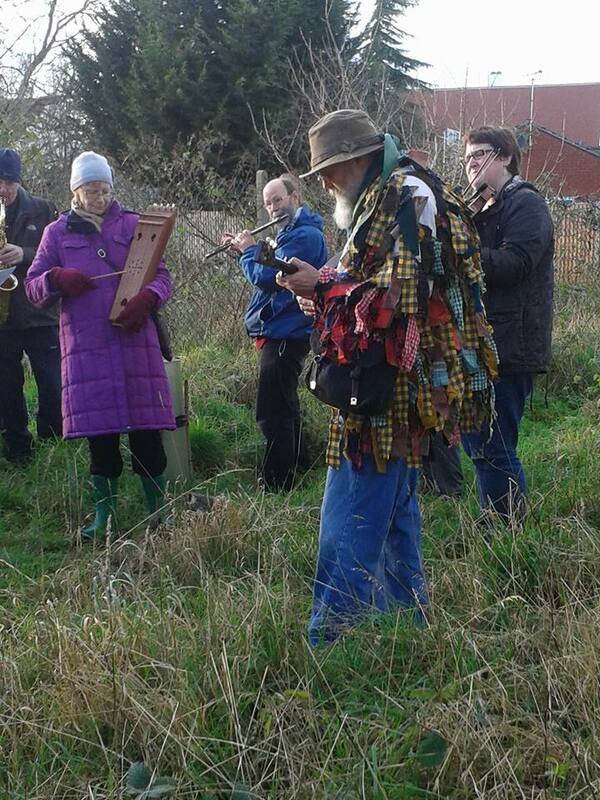 Come along to the Orchard from 12:30 – 2:00pm for the woodworking, with music and Wassail traditions afterwards from 2:30pm. The event is free but donations are appreciated. Please park with consideration for the residents.